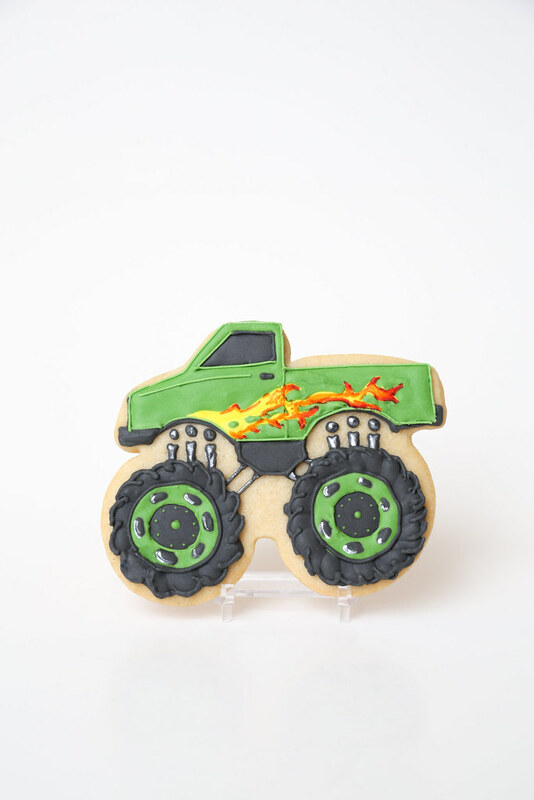 Monster Truck Cookies for Rocco's 3rd Birthday! 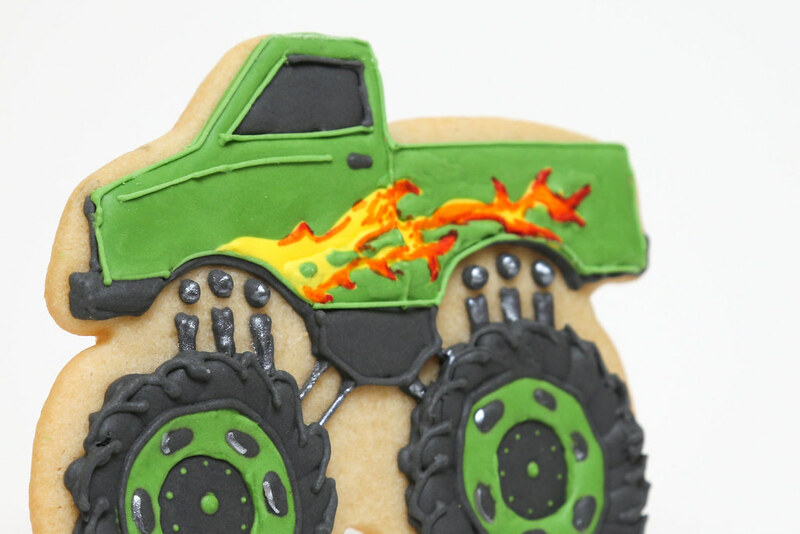 I made these [Monster Sized] Monster Truck Cookie that cousin Garrett ordered for her adorable son, Rocco, who just turned 3 years old! 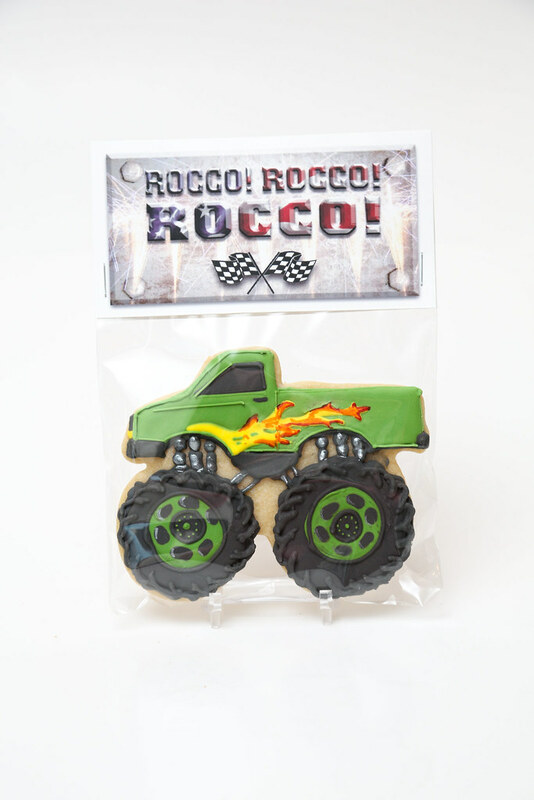 Garrett, who can make me laugh so hard my face hurts, had a Monster Truck theme birthday party for Rocco. Garrett even provided a buffet of tough mustaches and mullet wigs for guests in the spirit. In a word: 'Merica. ...In three words: Sunday Sunday SUNDAY! 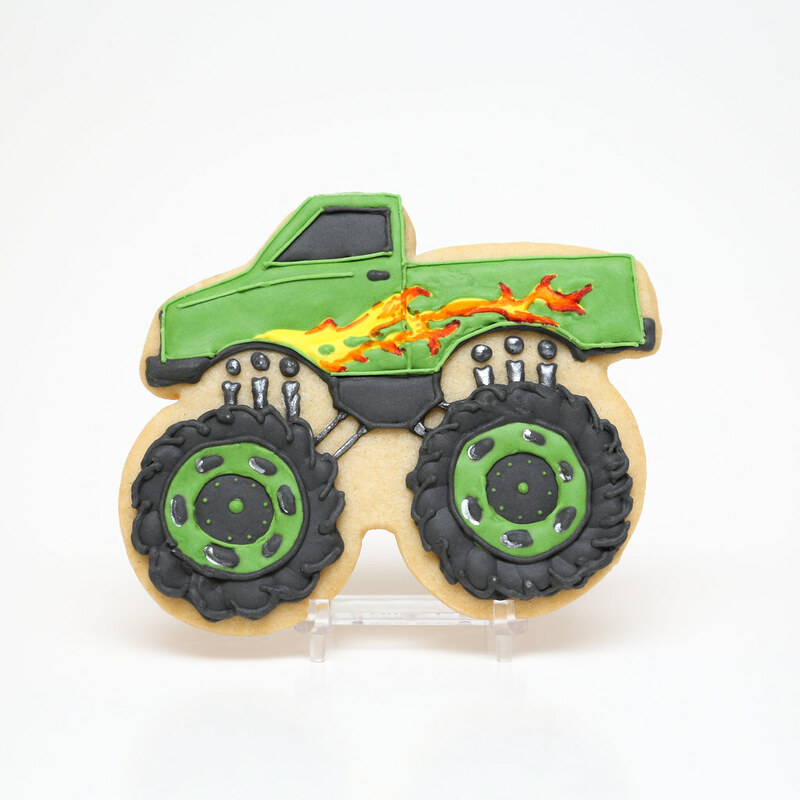 Here was my sketch, which is on a 5" cookie. In my email to Garrett with the sketch and quote, I mentioned that I could offer a slightly lower cost option if I omitted the flames, since that added a few extra colors and fine detail piping, etc. Just trying to you know, give my cousin a chance to "reign it in" a little if needed. 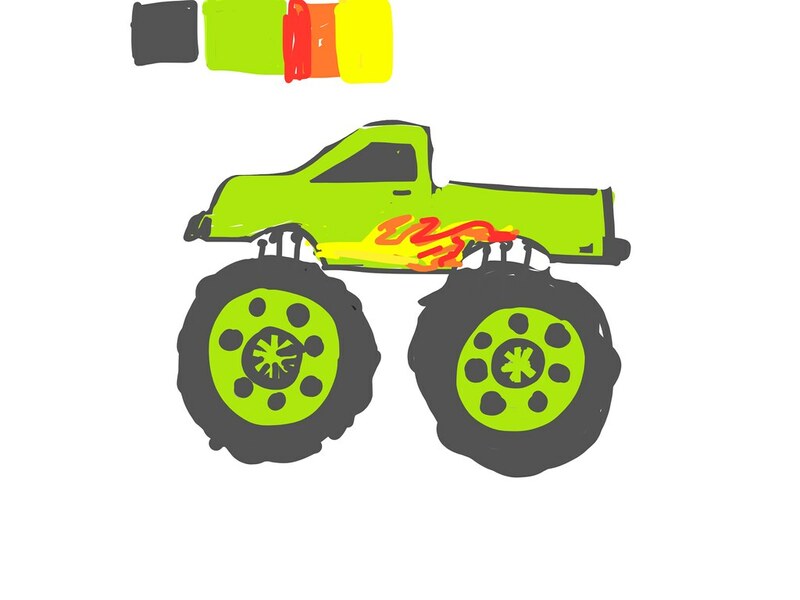 Garrett's response was: "I am afraid I have to have flames." Just as simple (and awesome) as that. 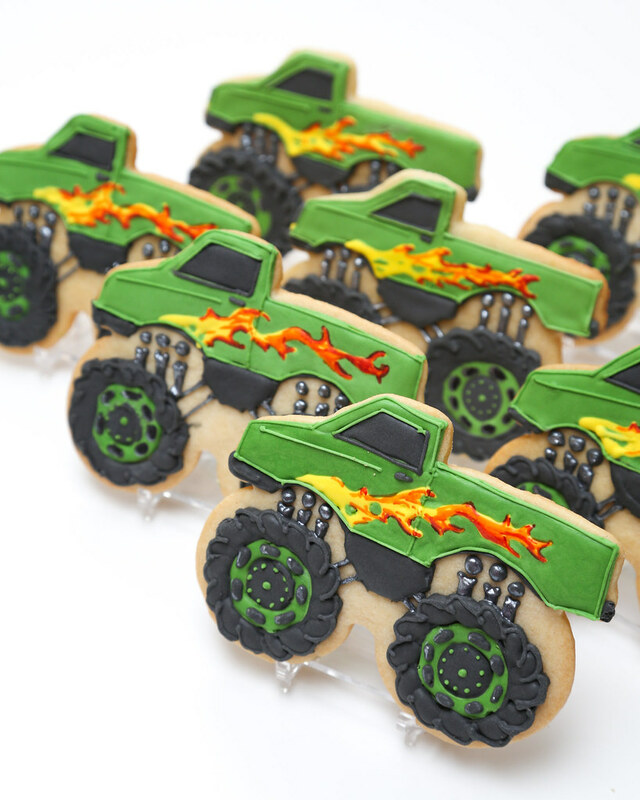 Ok, so here are the Monster cookies, WITH FLAMES, and appropriately loud & tough tags that Cole designed! 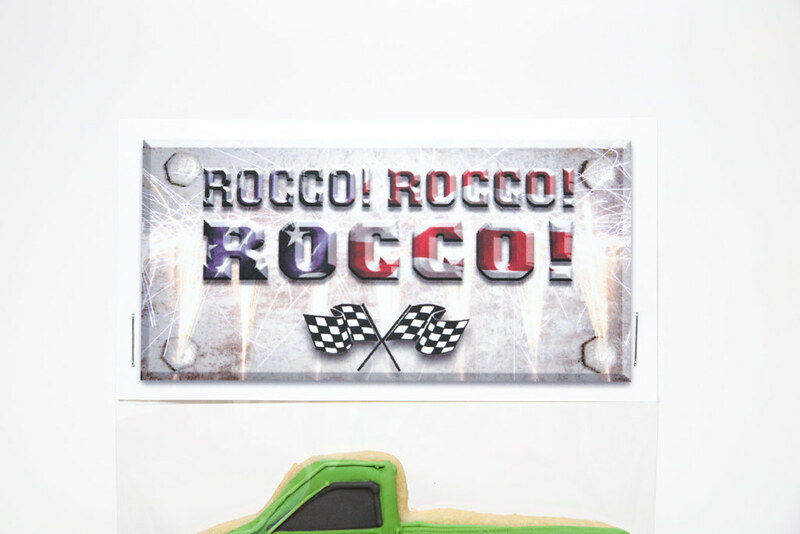 Thanks, Garrett, and Happy 3rd birthday Rocco! !